How to add a DVR to your Quanum Cyclops FPV Goggles! 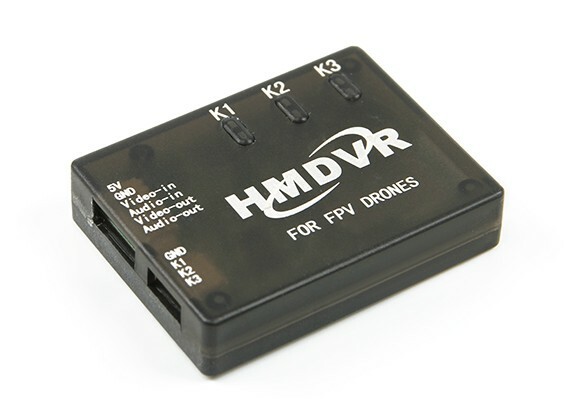 - RC FPV Flight - RC Reviews, HowTos & Test Flights! Hi guys and welcome back. 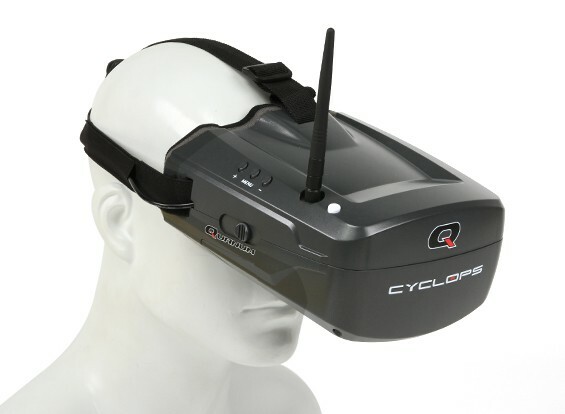 In this article I’d like to show you how you can easily add a DVR to your Quanum Cyclops goggles, which will let you record your FPV videos. This makes the Cyclops, which I reviewed before, an awesome set of lightweight goggles with DVR capabilities. First simply loosen the 4 screws in the corners and open up the goggles to take a look at its internals. You can see the fresnel lens. Here on the right side, you can see the power cables, red is plus and black is minus. These are directly connected to your 2s or 3s battery. On the left side you can see 4 cables going to your monitor, both powering it and also supplying it with the video signal from the receiver. Finally, on the opposite side here one can see plenty of empty space which we will use for installing the BEC to power the DVR module. Ok, so now let’s get straight to it. The only real challenge was to find out which cable from the receiver to the monitor is for the video signal, which is where we additionally want to connect the DVR module. On this photo you can see a bit of my effords to find this out. Here you can already see the solution. The cable carrying the video signal is the top-most cable on the monitor connector, as you can see in this photo. Here you can also already see that I have connected another cable to it (the yellow one) which will go to the DVR module. After figuring this out, all we need is to get some power to the DVR module. Here I took the power directly from the cables going to the receiver and routed these cables to the other side of the goggles, where I also put the video cable already. You can see this here. You can see the red and black cable providing the power and the yellow cable carrying the video signal. 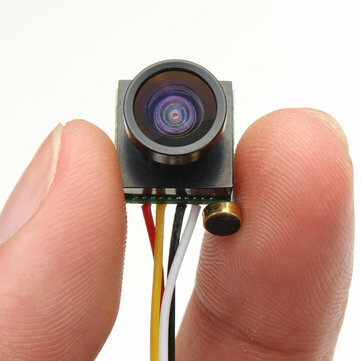 Of course, since the red and black cable carry the full 2s or 3s voltage (depending on the battery you use) we need a step-down regulator to 5v here, in order to power the DVR module. Here you need to take care, since the DVR module ist *very* sensitive to power noise. I think it has not filtering built-in at all. This means using an LC filter is a *must* here. In the photo you see that I use a Pololu, which is usually very good at power filtering, but in the end it was not enough. It did a good job at power filtering, but I could still see some noise in the recording. In the end I exchanged the Pololu for a PDB with a dedicated LC filter onboard and now my recordings are completely clear. I used the Demon Core PDB for this, but other PDBs with LC filtering onboard might work as well. Here you can see how I passed the DVR cables through the headstrap to the outside. I only connected the red, minus and video cables there, since I only use it for recording. If you use a video switch here, you can additionally use it for playing back your recordings too, but I found out that I don’t use this feature, so I have not connected the other cables. Here you can see the final setup with the DVR module in place and it not only works great, but is also a very clean solution. This concludes this article and I hope you liked it. The Cyclops are now my prefered FPV goggles, since they are so comfortable and lightweight, and I love the DVR feature for my small birds which do not have a dedicated recording camera. 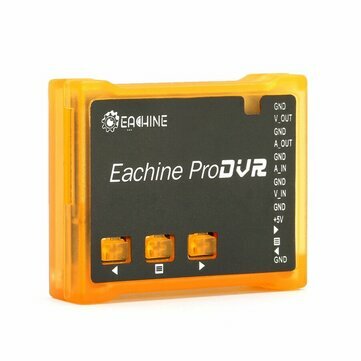 The HMDVR seems to be out of stock at Banggood and Hobbyking at the moment, here is another source (Aliexpress) where it is in stock. I hope you liked this article and if you did, please leave a thumbs up and subscribe. Many thanks for reading and see you next time!